As the world celebrates the 100th Anniversary of Composer-Conductor Leonard Bernstein's birth, we warmly recall presenting the STAR OF PEACE award to this storied Maestro at a private ceremony in San Francisco conducted in August of 1986. In addition to receiving the award with gratitude, Maestro Bernstein then signed the STAR ALLIANCE Declaration for World Peace Through International Communications, a signal document in a historical series which includes, 35 years later, the Star Citizen's Declaration of Highest Civic Ideals (I-III.) This document set may be found on the page entitled: Good Will Civic Value Documents Offered for All at: STARALLIANCE.org. Following are the concluding two paragraphs from an interview by music producer, reporter, and NPR Music blogger: Mr. Tom Huizenga, with Leonard Bernstein's daughter, Jamie Bernstein, author of the new book: Famous Father Girl: A Memoir of Growing Up Bernstein. The book is described as "a frank recollection of family life and the struggle to find herself amid the "blinding light" that was Leonard Bernstein..."
Q: If you could send one thought to your father through the ether somehow, what would it be? Q: Name one thing about you, and one thing about your father, that you hope readers will take away from the book. What I hope I conveyed is that everything my father did, in any aspect of his life, was always in the context of love. If he could have, he would have hugged every person on the planet — and he kind of did, through his music. So when I wrote this book, I, too, am hoping that I framed everything I wrote about in the context of love. There are a lot of things about my dad that are complicated... He was a handful, to say the least. But I hope that I presented all of that in the ultimate context of love, because that's certainly how he was. The historic STAR ALLIANCE Declaration that Bernstein signed in 1986, and the Star Citizens' Declaration which has evolved today, are indeed gifts of good work, good energy, and love for the world. 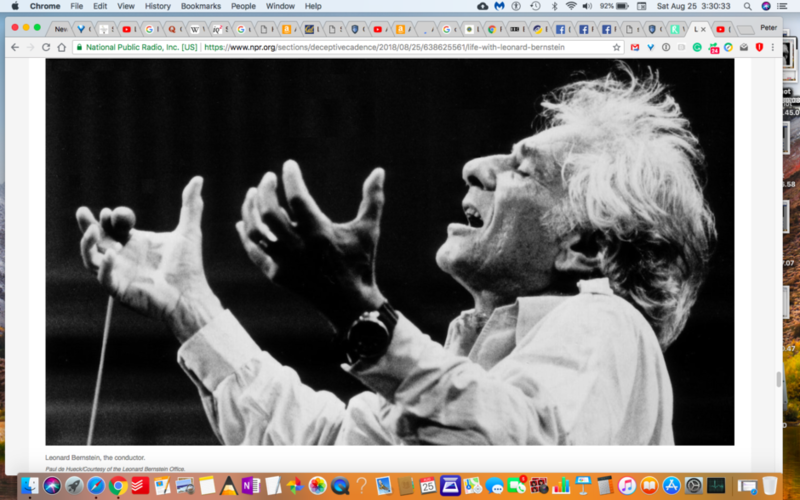 Thank you, Leonard Bernstein, for supporting this gift for all humankind. It is consistent with your lasting legacy of passion, peace, and love. And may our Highest Civic Ideals soon get the support they deserve — that our humanity so much needs! This is a good start and I must say that all static holders need to make such strategies that can bring peace in the world.